The Courtyard apartments: an excellent two-bedroom apartment on the second floor of this popular town centre location. An elevator from the lobby takes you to the second floor. The apartment has a master bedroom with double bed and a second smaller bedroom also with double bed. A combined living / dining room with fully fitted kitchen with dishwasher and washer-drier. One bathroom with shower over the tub. Free unlimited Wi-Fi internet. TV with NETFLIX. 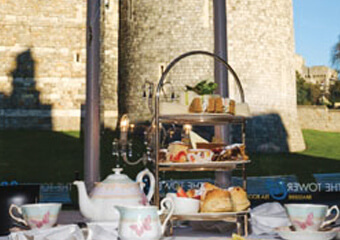 A great location just a few moments’ walk to Windsor town centre with great local restaurants, shops and Windsor Castle. Private off-road parking for one car. Walk to the trains stations in 5 minutes. Excellent place, really enjoyed my stay. Location can\'t be beat.